Keeping up with Yamaha's relentless release schedule has to feel a bit like boxing Mike Tyson. Every punch wasn't necessarily a knockout, but the flurry of jabs and body punches did as much damage as any single blow. I have to imagine Honda, Kawasaki, and Suzuki feel a little like Buster Mathis at the end of that third round. 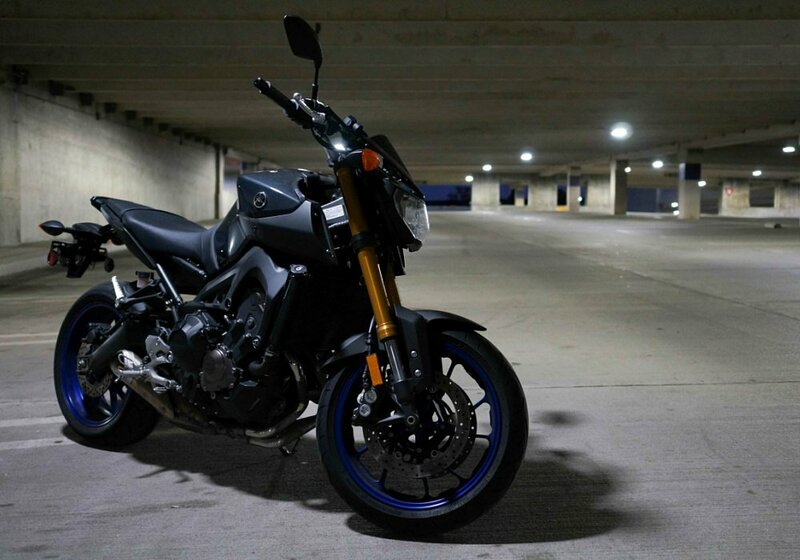 First, the FZ-09 breathed new life into its segment with a fun, though flawed, motorcycle. Suzuki belatedly released a comparable option in the form of a five-year-old motorcycle brought over from Europe, in the GSX-S750, and Kawi has yet to get the Z800 into U.S. showrooms (though they've announced it's coming). Yamaha hit us next with the FZ-07. Its smaller twin engine didn't have the same power that turned your stomach in knots like when you would wring the throttle on the 09, but it came in a refined overall package that quickly became many people's favorite between the two nakeds, especially considering the price. Yamaha quickly followed, releasing not one, but two new motorcycles, with the FJ-09 and all-new Yamaha YZF-R1. The FJ fixed many issues with the FZ-09, and instantly became my favorite of the three models, and the R1 — well let's just say I picked up a unit to test this week and the hype is very, very warranted (review coming soonish). Just as the FZ-09 begat the FJ-09 (top row), we expect the FZ-07 to beget the FJ-07. RevZilla illustration. Now, Yamaha's next step is not surprising, though the pace is just nuts (and awesome). In addition to getting some sort of retro-styled version on the FZ-07 platform (probably announced this fall in Milan), it appears we'll also be getting an FJ version in the nearish future. Think something to compete with the Kawaski Versys, but with a Yamaha logo on it and using the lovely little motor from the FZ. If that doesn't sound exciting, keep in mind that Lance and stunt rider Jason Britton both own a Versys and that I went from thinking the 650 was lame to loving it after spending a few weeks on one. The FJ-07 (or MT-07 Tracer, as it's called in Europe) was spotted in Milan undergoing testing despite being heavily disguised (OK, or the photo was planted and leaked). You'll have to go to the Italian site to see the pics. It's hard to determine what the bike will look like, but after the past two or three years, I trust Yamaha will do a decent job. My one hope is that the FJ-07 is more Versys-sized than Wee-Strom. We can assume the FJ-07 will follow the example of the FJ-09 and get higher bars, a windscreen, panniers, and a revised seat. As far as timeline goes, I would love to see an FJ-07 released this coming fall in Milan, but there's a pretty good chance this thing might not debut until later. This model just looks too far from complete, with most of the body and exhaust looking more like they were pulled from a parts bin to get the thing on the road instead of built for possible inclusion on the bike.